Whether it’s sharpening blades or getting a professional tuneup, follow these maintenance tips to help your mower run longer. 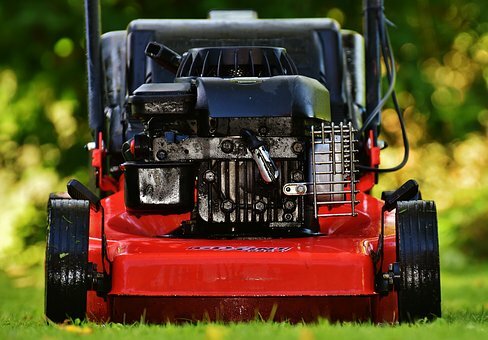 Few pieces of lawn care equipment take a beating like the lawn mower, yet this popular appliance is often neglected until it won’t start or something breaks. A lack of preventive maintenance almost guarantees an early death for your lawn mower, but you don’t have to be a mechanic to keep it buzzing all summer long. Lawn mower repair technicians say old gasoline is one of the main suspects when a lawn mower won’t start . Arvin says you should run the remaining gas out of the mower or drain it at the end of each mowing season, and always use fresh gas in the spring. Monitor the oil level in your mower and look for floating debris or oil that appears dark black in color. Old or contaminated oil should be drained and replaced. To change the oil, remove the drain plug underneath the mower and allow it to drain completely. If your mower doesn’t have a drain plug, you’ll need to carefully tilt the mower on its side and drain the oil through the fill hole. Be sure to consult your owner’s manual for the correct method and type of oil to use. Grass can get caked in the undercarriage potentially clogging the mower’s discharge chute. Use a wire brush to scrape grass clippings and dirt from the undercarriage and spray the remaining debris away with a hose. As a safety precaution, always disconnect the spark plug before working around the undercarriage. Like the air filter, the spark plug is extremely important to a functioning lawn mower, yet inexpensive and easy to replace. Change the spark plug every year to ensure an easy start. Unhook the spark plug wire and remove the old plug with a socket or spark plug wrench. Install the new plug but make sure not to over tighten it or it could prevent the mower from starting.